Once again, the primary villain is being controlled by somebody else. Ken was manipulated by Arukenimon, who also created BlackWargreymon but is created by Oikawa, who is being controlled by somebody who damn well better be the final boss. Maybe the only reason Daemon, Devimon and Dragomon didn't get much screen time is that they don't have to answer to anybody. It's hard to show much sympathy for Oikawa just yet, since we don't know the complete circumstances of his possession, but he clearly is possessed and while his backstory is not the most tragic thing we've seen, it is rife with disappointment. Whenever any tragedy hits you where you're most devoted, it's all the more likely to send you off the rails. In Oikawa's case, he's a Digimon otaku. Obsessed with video games and the concept of digital monsters at a young age, he became fast friends with fellow enthusiast Hiroki Hida. When Hiroki's father forced them to turn the TV off and go outside, they were both disappointed. Hiroki grew up, got married, had a son and died a hero. Oikawa's life was consumed by his passion and he dedicated himself to creating digital life and entering the Digital World. He succeeded, but only after Hiroki's death. Then things went a bit sour. Even without advance knowledge of Oikawa being possessed, the cracks in the armor when he sees Cody creates havoc for everybody. If Oikawa's wrestling with this, what are his underlings supposed to believe? Arukenimon and Mummymon have a pretty heavy scene where they question Oikawa and themselves, which is pretty impressive for a pair that had been relegated to comic relief far too often. Oikawa's reaction even throws Cody's grandfather into the picture. Chikara Hida figures a lot out quickly, going from his first introduction to Armadillomon to reasoning with Oikawa in the heat of battle overnight. While he doesn't regret taking the games away from Hiroki and Oikawa, Chikara does regret not being closer to Oikawa after Hiroki's death. For everything that Hiroaki Ishida (and recently Nancy Takaishi) contributed to the team, Cody's grandfather is one of the few family characters that has an active role in the story this season. His parenting and subsequent ignorance of Oikawa's grief played a huge part in Oikawa becoming susceptible to the darkness. Chikara's confrontation is what moves Oikawa to relent. Until that little controlling influence takes over, bolstered by the recently absorbed dark spore, and attacks Chikara. BlackWargreymon intercepts it. In the end, Oikawa's story parallels BlackWargreymon. Neither seemed to belong in their world and detached themselves with their obsession. Oikawa was set on creation, but turned destructive after he succeeded and his monsters were a reflection of his own ugliness. BlackWargreymon set out to destroy, only changing when destruction didn't make him any less empty. This similarity is why the two are so repulsed by each other. Once hit by Oikawa, BlackWargreymon realizes that it's over soon and, realizing who is controlling Oikawa, gives his body up to seal the gate at Highton View Terrace to prevent him from entering the Digital World. It's unfairly cryptic that BlackWargreymon learns the truth about Oikawa before anybody else does, but it's a noble and appropriate way to go out. In the end, he was able to do something meaningful with his life, valued by those he could consider his friends. Not a bad way to go out at all. For someone so firm on morals, Chikara is awfully forgiving when Cody confesses that he's been hiding Armadillomon this whole time. Given Hiroki's obsession with digital monsters, it's a wonder Chikara didn't lower the boom on his grandson. There's probably an entirely separate conversation to be had about Hiroki and Oikawa playing some sort of Digimon-related video game. Does that mean this Digital World has an origin story similar to the one in Tamers? The way Noriko shuts down all of Ken's arguments before he even has a chance to make them would be worthy of applause if it didn't make you want to punch her in the face. What exactly were Tai and Wargreymon doing standing around when Wargreymon sensed BlackWargreymon? It's one thing to be walking around with your Digimon, but in Mega form? I'm all for heartfelt sacrifices, but the emotion the digidestined show over BlackWargreymon's final gesture was a bit overwrought. They may have gained some sympathy for him, but with the possible exception of Wargreymon, they weren't so close that they'd be so distraught over his death. In particular, them begging him not to go seal the gate is strange: if the dude's gonna die anyway, you might as well let him go out with something helpful. 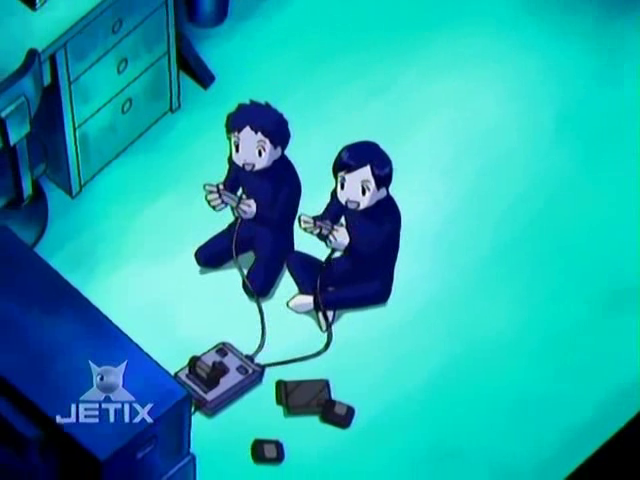 I always interpreted Oikawa and Hiroki's childhood exploits with Digimon as them somehow stumbling upon the actual Digital World through their games. Oikawa's motives make a lot more sense if he knew from the start there was an entire world with these real, thinking beings rather than just believing it was a game. I appreciate the comparison between Oikawa and BlackWargreymon. What makes this season for me, despite its numerous plot holes, is the darkness and redemption themes for Ken, BlackWargreymon, and Oikawa. 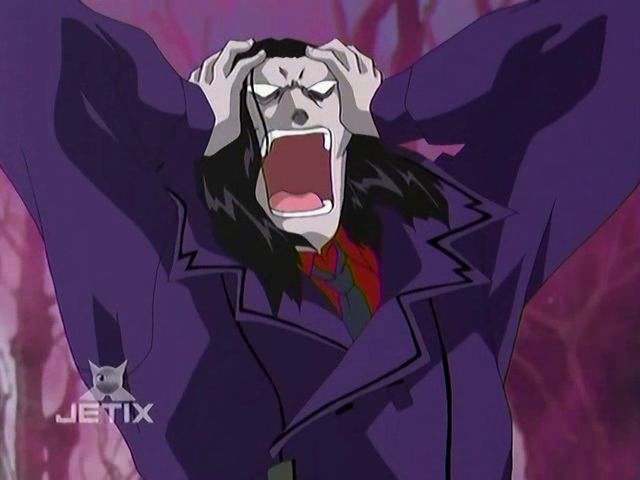 BWG's final sacrifice and Ken's pseudo-spiritual battle to open the dark gate two episodes ago are highlights for me. yep, agree with you, Kat. 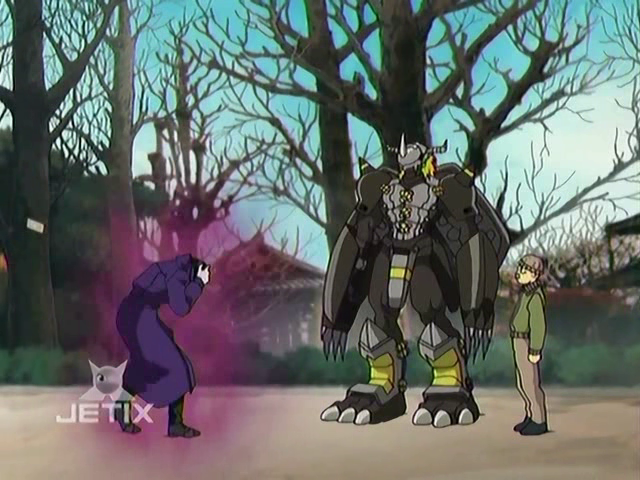 Something that always kinda confused me about this episode (and maybe it's just a dub thing) is how when BlackWarGreymon gets a glimpse at what lurks inside Oikawa he's all like "NO IT CAN'T BE YOU! THIS CHANGES EVERYTHING! I should have known it was you all along!" and while that interests the viewer and brings a really frantic feeling to the last few episodes I'm left wondering why why that was his reaction and not "wow wtf is that? That's bad news." My point being, how the hell does he know who Myotismon is? Perhaps he learned about Myotismon while he was traveling across the Digital World.